“Write in the kitchen, lock yourself up in the bathroom. Write on the bus or the welfare line, on the job during meals, between sleeping and waking,” Tejana author, theorist and philosopher Gloria E. Anzaldúa (1942-2004) once wrote. Born in the South Texas city of Raymondville, Anzaldúa wrote for queer brown women — but also wrote for the world. Norma E. Cantú, founder of the Society for the Study of Gloria E. Anzaldúa (SSGA), notes that Anzaldúa’s writing is taught globally: in Italy, Austria, Poland and Mexico, among other countries. Twenty-seven years after Anzaldúa’s landmark publication Borderlands/LaFrontera: The New Mestiza, 12 years since her death and nine years since the first international symposium on her life, Anzaldúa’s spirit still speaks to hundreds. Activists, scholars, educators and artists gather every 18 months in San Antonio to honor her life and work during El Mundo Zurdo: An International Conference on the Life and Work of Gloria E. Anzaldúa. 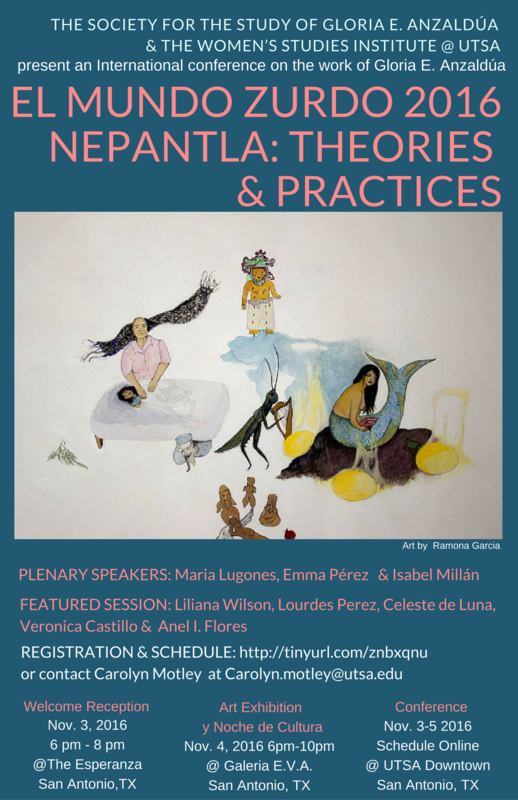 In anticipation of this year’s gathering we spoke with the organizing committee about the significance of Anzaldúa’s work and the conference. How did El Mundo Zurdo originate? What was the first conference and symposium like? Norma E. Cantú: I started thinking of the conference when I attended both Modern Language Association and American Studies Association conferences and the sessions on Gloria Anzaldúa were packed. So we held the first symposium in November of 2007. It was in conjunction with the Prietas y Güeras conference that Marisa Belausteguigoitia held at the UNAM. We began hosting El Mundo Zurdo shortly after that and SSGA became an affiliate of the Society for the Study of American Women Writers. What is the significance of Gloria E. Anzaldúa? Why should we know about her? NC: Anzaldúa was a path-breaking philosopher and thinker whose most important work, Borderlands/La Frontera, reverberates even to this day, 29 years after its publication. It has been published in Italian and in two Spanish translations. Her work is taught and discussed in universities all over the world and numerous scholars work on her writings. The application of her theories about the border are ever more relevant worldwide as immigrant and “minority” communities find themselves in situations similar to the realities found along the U.S.-Mexico border. What is the significance of this conference for the city of San Antonio? Anel I. Flores: San Antonio and all South Texas is a densely populated comunidad of first-generation, Spanglish-speaking, Mexican American and [email protected] LGBTQ people, who come from a lineage of farm and labor workers. Gloria Anzaldúa, who identified as all the previously mentioned identities, was the first author to combine all of these subjects in autobiography, poetry, narrative and writing. To go to the SSGA conference and learn about the work and life of Gloria E. Anzaldúa is to learn about ourselves. And, to learn about ourselves and our family history builds pride, drive and the consciousness to work towards a more just and healthy world, in the practice of our people. What are some challenges organizing the conference? AF: There is little to no funding for women’s studies, queer studies, LGBT studies, [email protected] studies, the arts, music … need I go on? It is very challenging to fund this conference and give our keynote speakers and performers the fee they deserve to be paid as professionals. It is doubly difficult to provide community members and students scholarships for this conference. We would love some funders to commit to a few years or a lifetime of scholarship for the SSGA conference. What are future visions for this space? NC: For the future, we hope to continue the conference every 18 months (November and May) and to make our blog and website more of a space for continued sharing. 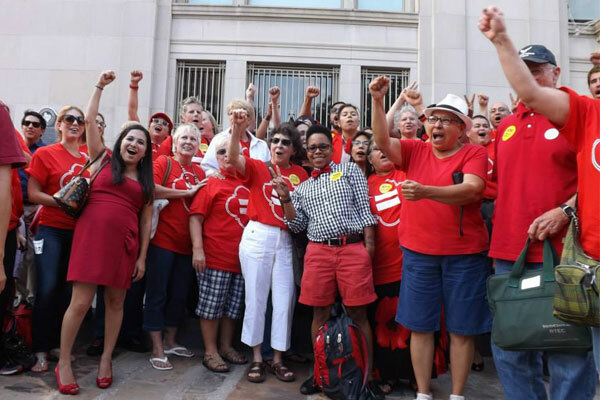 It will become what the members of the Society for the Study of Gloria Anzaldúa want it to be. 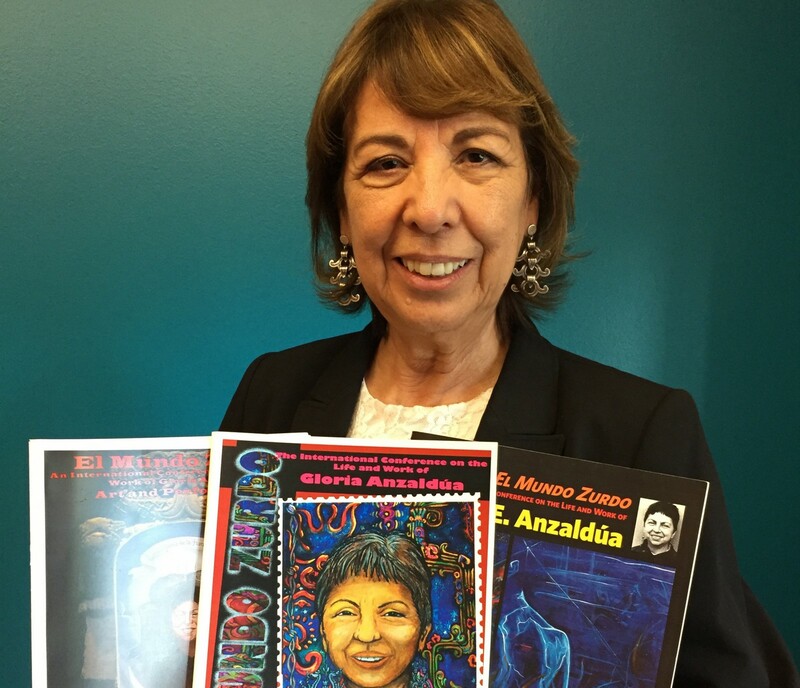 Rita Urquijo-Ruiz: San Francisco-based Aunt Lute Books, under the direction and cariño of Joan Pinkvoss, has made the commitment to publish the El Mundo Zurdo conference proceedings every 18 months in book form. The chosen art piece is used for the book covers, as well as other conference materials such as the programs, bags, and T-shirts. The books are co-edited by at least two or more professors who are part of the organizing committee.